Here at Oaktree Interiors, our professional team has worked on projects of all shapes and sizes, including the design and implementation of office refurbishments in Cambridge. Our aim is to enable you to make the most practical use of the office space that you have available. We believe in the importance of unique office designs for every one of the companies that we work alongside, and we design every single office interior refurbishment from scratch. 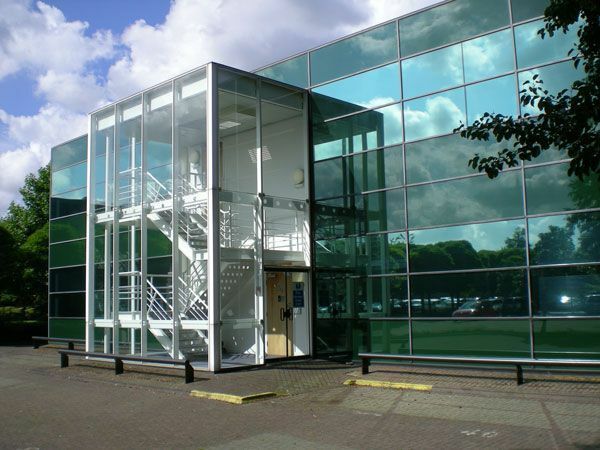 How can my business benefit from office refurbishment in Cambridge? Creating a truly unique office refurbishment requires much more than a simple rearrangement of the desks, or the shift from a traditional office layout to a modern, open-plan design. The modern office doesn't feature wasted technology or substandard layout – instead, every office needs to be designed according to the personality of the brand identity and the requirements of the workforce themselves. Intelligent office designs allow those who use it to do so in the most productive manner possible. This will often require a combination of office designs, from closed meeting rooms for complete privacy or a larger, open-plan working area to encourage inspiration and communication. If your workplace is looking a little outdated or if it no longer effectively meets the needs of your workforce, then a completely new office design could transform the image of your company. This reimagining of your business' heart could offer great advantages to your customers, clients and employees and create a much more dynamic office environment. What will I get from my new office refurbishment? Before we undertake any project, we will make a complete evaluation of your current office, or the office space into which you intend to move. We will then create a fully-detailed plan of our intentions, which you will then be able to reflect upon. Once we have reached an agreeable office design, which meets the needs of your employees and your own preferences, we will get to work! With our complete in-house team, we can ensure that your project proceeds on time and to the very highest of standards. Our professional team will be able to deal with your entire project, from start to finish and we can deal with any issues that might develop to ensure that your office is ready in time for your deadline. One project that we completed in Cambridge, in early 2014, was for the Internet Watch Foundation – a dedicated group who search and deal with illegal online content. After selecting our complete services from a range of other companies, we designed a brand new office which complied with the latest BREEAM regulations and ensured that their workplace was the most suitable environment for their crucial work. For more information on how we can help to transform your office interiors, with a complete office refurbishment in Cambridge, or anywhere else in the country, get in touch with our professional team directly today by emailing us at hello@oaktreeoffice.com. Alternatively, you can get in touch with us by calling 0345 2186955.